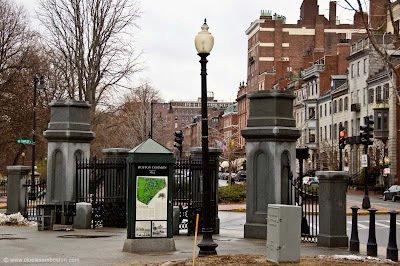 Gates at the corner of Beacon and Charles Streets. great photos these days! your black&white are always amazing! I'm *hopeless,* I guess. ,-) I prefer this colored photo, to yesterday's B&W.